First published in 2011, “When Salmon Was King: Voices from the Clyde River” has been out of print for three years. Because of popular demand, we are now reprinting a limited number of the books. They’ll be available within two weeks. 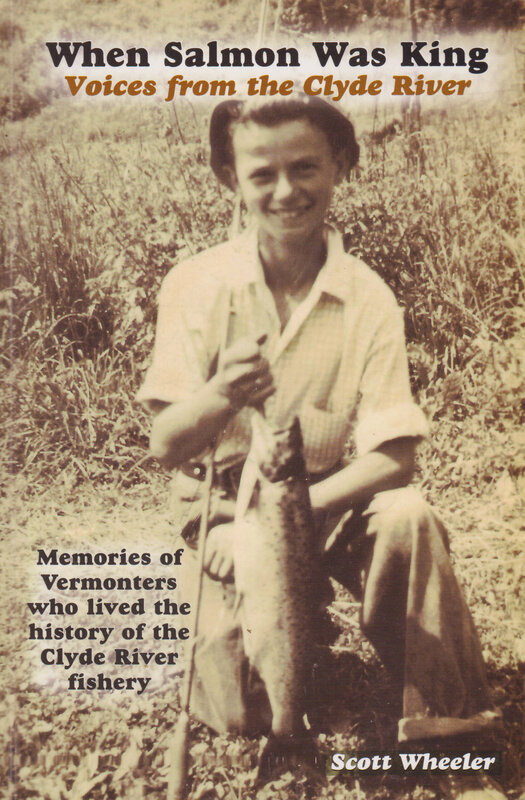 During the first half of the twentieth century, fishermen traveled from around New England to the farthest reaches of Vermont to fish for salmon that flourished in the short stretch of the Clyde River in Newport as it flows into Lake Memphremagog. By the middle of that century the salmon were all but a memory. What happened to the famed salmon? The book also explores the rise and fall of the rivers walleye population. Read the stories of some of the people who lived the history of the Clyde River fishery. The 152-page book is filled with stories and photos of a bygone era. 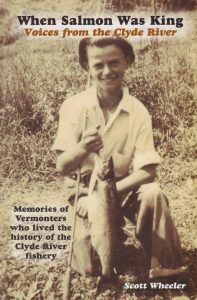 To buy a copy of the book, send $16.95 (plus $3.00 for shipping and handling in the U.S.) to Vermont’s Northland Journal, PO Box 812, Derby, VT 05829.